If you are an internet user Google Chrome browser is not a new thing. Most of the internet users have Google Chrome installed on their computers and also on the Android based cell phones and other devices. 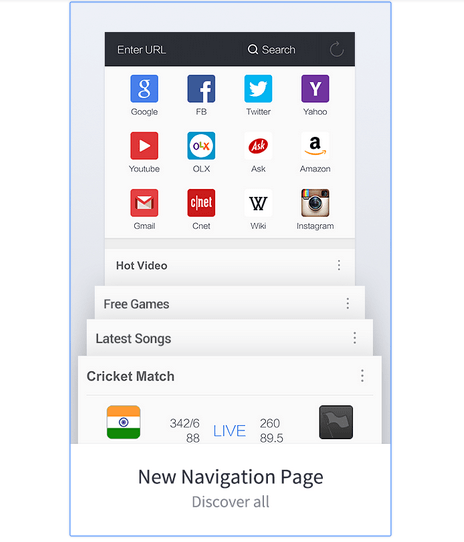 On Android devices, you will find Chrome browser already installed. However, if you do not find this browser installed on the device, just click and download to enjoy internet surfing at a high speed. This browser has several qualities where you feel secure that the information you share while online, can’t be tracked. The Chrome browser has also several other rich qualities such as bandwidth compression and voice search. It also supports HTML 5 and has various signs for perceptive browsing. The browser regularly gets recent updates as per the latest technology requirement. The recent update that Google has made to this browser is with some Material Design that is elegant in the UI department. This very popular browser having a broad range of qualities is not only for your Android devices but you can also use it on the desktop and the laptop as well. While using this browser you have the facility to sync data to other devices. If you are fond of flash games, this browser supports flash. With security and privacy, this browser has several other features like video codec. 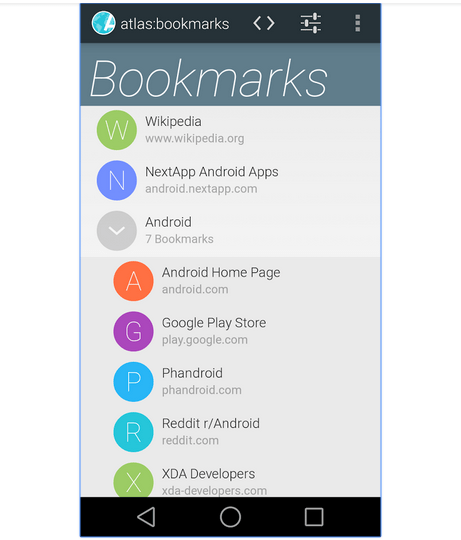 You can read a text without any obstruction with the help of reader mode and the bar to manage all the bookmarks and the most visited sites. You can download this browser from Google Play Store. 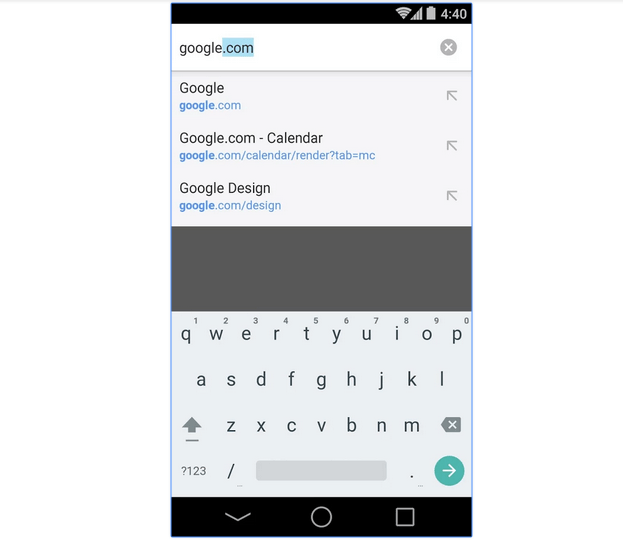 Like Chrome browser, one using Android device is also familiar with the Opera browser. This browser is specially designed for cell phones and is helpful to get connected quickly where the network is weak. With data concise quality, this browser is fastest among other browsers and also has an excellent tab system. 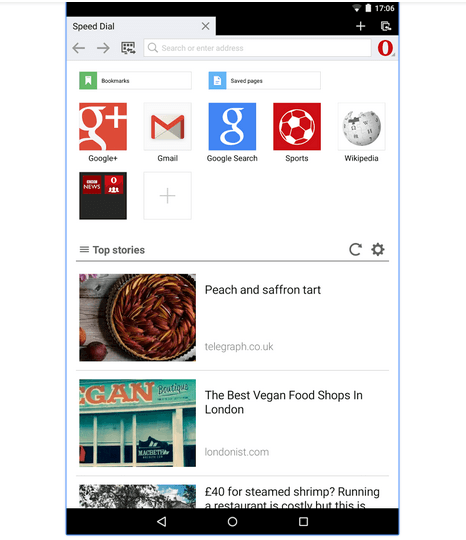 While browsing with Opera, you find a cool off-road mode that concise the data for a fast browsing. You can also share data with other devices with Opera link. This browser is available on a wide range having qualities of a clear interface with speed dial. 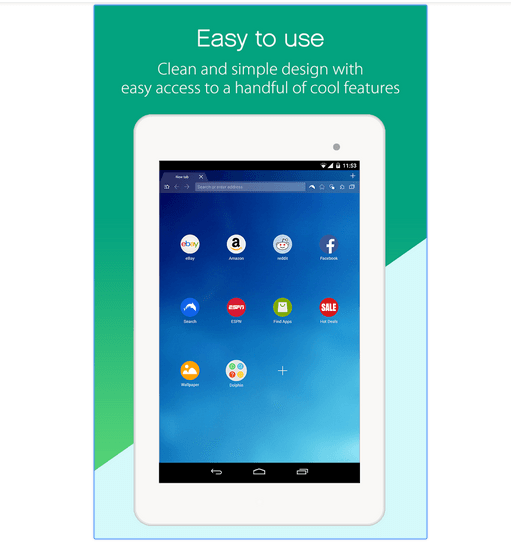 This Android browser is also available on a wide range where you can find cloud-based sync feature. You can share data and information on any device by using this browser. For those who want RSS feeds from different publications, this browser has NewsBites apart from other favorite websites on the home screen. If you finish on one device and start on another you can begin from where you left earlier. If you open a website, this browser automatically loads the next page, which gives you fast browsing. 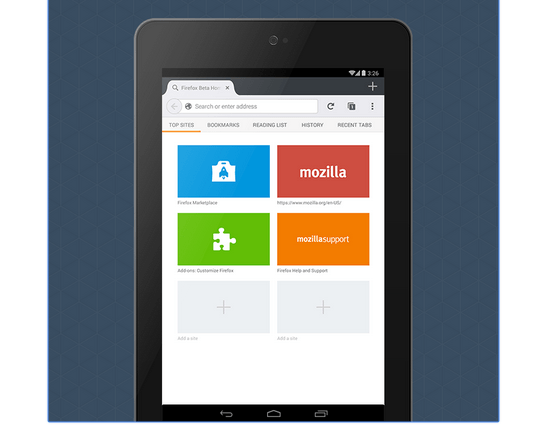 With the use of this browser, you can match the data on any device. This browser has qualities like sharing over Facebook, tabbed browsing and a super cool fetch mode. You can also find several other qualities while using this browser. 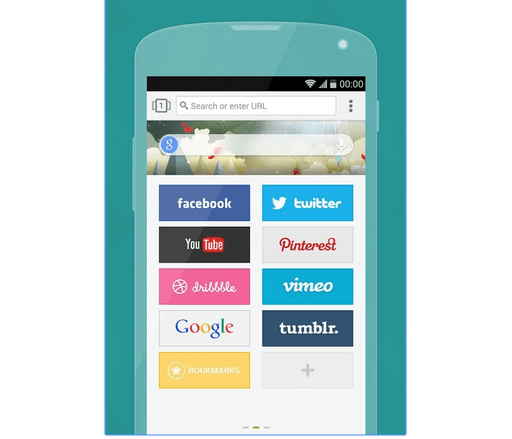 Since the beginning of Android app, Dolphin browser is being used on Android devices. Among the older Android browsers, this one is highly adorable. One very important quality of this browser is “Sonar” mode, which enables you for a voice search. It is easy to search a website with speed dial and you can share the link over WiFi with WiFi broadcast quality and it supports more than 60 add-ons. While browsing with Dolphin you can find several options like tap share, tab browsing, sync option that enables to share settings and the pages between cell phone and the laptop. You can also send links, numbers and the content from the desktop to a phone by using “send to device” option. With the one of its kind on-board support system you will enjoy browsing through it. This browser mostly used in India and China comprises of a wide range of qualities. This browser has a normal range of qualities mixed with file and download manager. Although the home screen of this browser is little confusing, it gets managed with several qualities that include excellent tab management, speed mode, custom themes, add-ons, and the night mode. With download manager, you can download several files easily. Even if the internet gets disconnected, you can continue downloading files from the last point by connecting again with this browser. You can use this browser to get internet access at a fast speed where connectivity is slow. 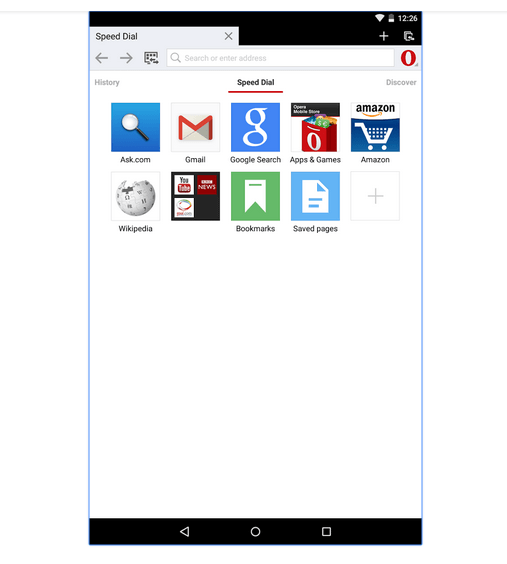 This is due to the excellent compression technology of the Opera browser that makes it a very popular and also one of the fastest one Android web browser. You can share data and select picture quality of the websites and also opt whether to view the images or not. The qualities of this browser let you save the web pages to be viewed later on, smart page for news, single column view, and many others. You may be using this browser but if not, just try it once and enjoy the features. This browser is a very good combination of qualities and excellent interface. The browser works at a lightening speed and it is claimed that you can open a web page in just 1.5 seconds. 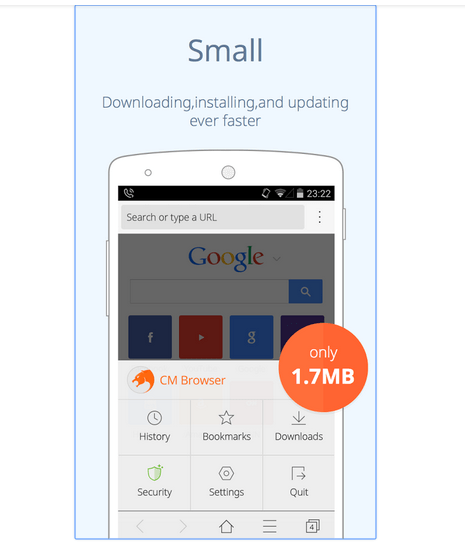 This browser is very easy-to-use that deals with the memory with power efficiency. With the help of a cool home screen that can be modified, you get the option to RSS feeds. Here you can get features like offline reading, extensions, and Next View. The browser is a combination of user experience and good looks with a cool gesture to switch tabs. While using this browser, you need not be anxious about various extensions or add-ons. One of the important qualities of this browser is that it has inbuilt ad blocker. You can add a control panel slider that gives you similar quality results on the cell phone screen in comparison to the desktop. This browser has other qualities such as content-centric UI, sandboxed private browsing, dual-view and others. You can download this browser from Google Play Store. This browser is also very easy to use, safe and gives you fast speed. It has qualities like fraud protection and speeding up and protects you by discovering malevolent apps. The home screen of this browser is enriched with qualities like speed dial to open the websites you like most. You can also find page translator, gesture control for videos, card tabs, do not disturb mode and other features with this browser.